I am a little bit addicted to gel polish. It's pretty, it lasts for at least a week (or two if I am lucky) and it's hassle free, but sometimes I don't always have the time to pop and have my nails done on my lunch break at work. When they start looking a bit tired and the dreaded chips start appearing it drives me insane, so I wanted to see if I could remove them myself at home so they at least look normal until I have time to go to the salon. This was my first attempt of doing it and I learnt a few vital tips while experimenting and watching YouTube videos, so I thought I would share these tips with you. 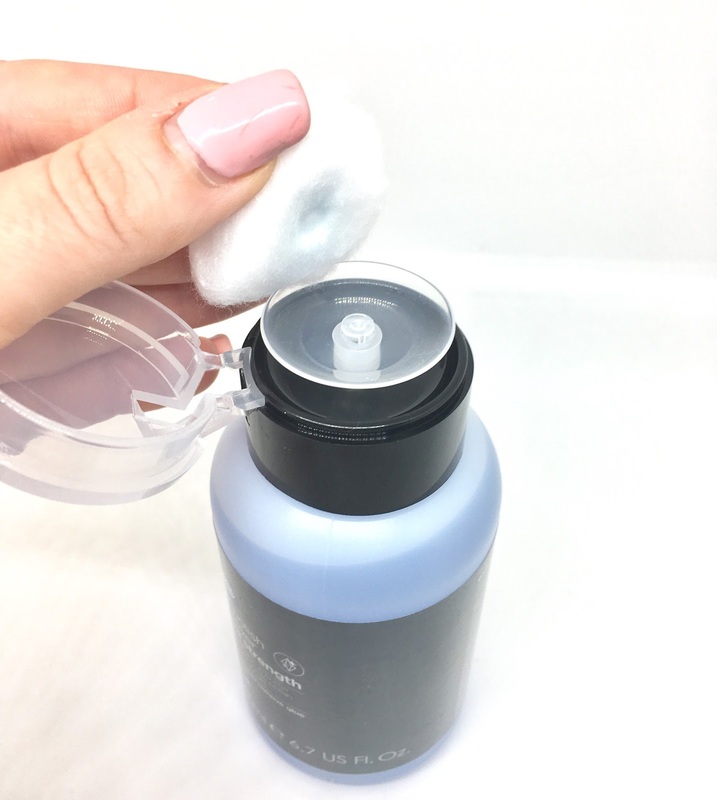 With the nail varnish remover, I opted for the easy dispensing pump lid version which they use in salons, it's so much easier than faffing about with little bits of cotton dunking them in a bowl. I also opted for the extra strength remover from Boots too as my last gel polish had about 3 coats of colour on. 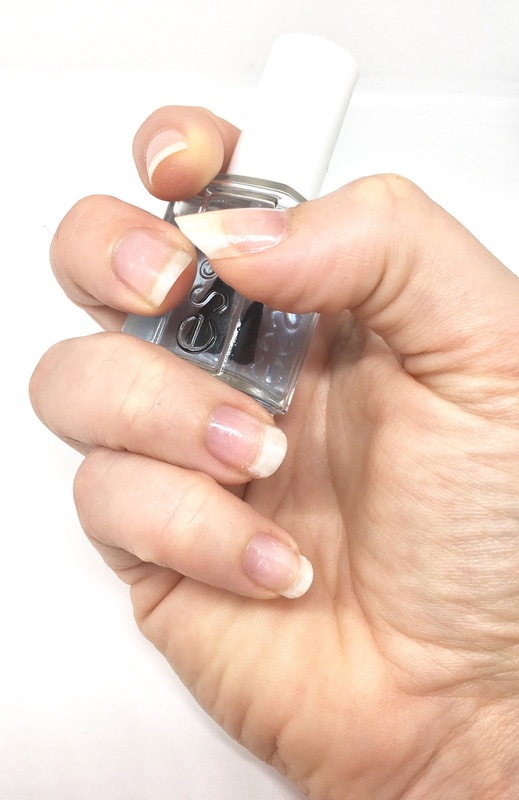 If your gel is quite thick like mine was, file gently over the top of it, just a small amount so you take off the shine and effectively the top coat, don't file more than this or you may damage your nail. Now, I figured out that actually ONE cotton ball is enough to do all 10 nails. You rip the cotton ball into tiny little pieces, just enough to cover your nail. The reason behind this is that if you soak the whole end of your finger it dries out your skin and cuticles, I found this out the hard way. OK, so what that actually means is place the small, soaked cotton ball over your nail only and wrap your finger in tin foil. 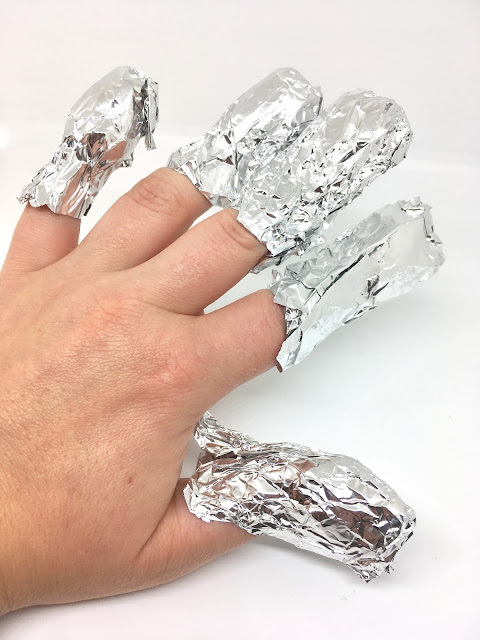 The tin foil will trap the natural heat from your nails and help remove the gel. I figured out I didn't need to go as crazy with the foil as the picture below, so for you, if you're trying this at home, you only need small squares! I left mine for about 5 minutes and carefully slid my finger out of the foil and to be honest, as you can see from the picture below, I think I should have left them for a little bit longer so I would advise checking one nail and re-wrapping if it needs longer. How will you know when it's ready? 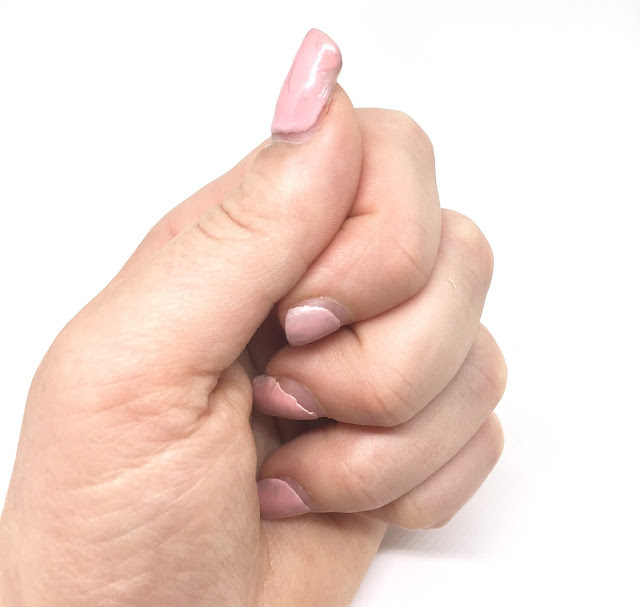 The gel will have naturally lifted from your nails and it will flake/push off easily with a gentle nudge. 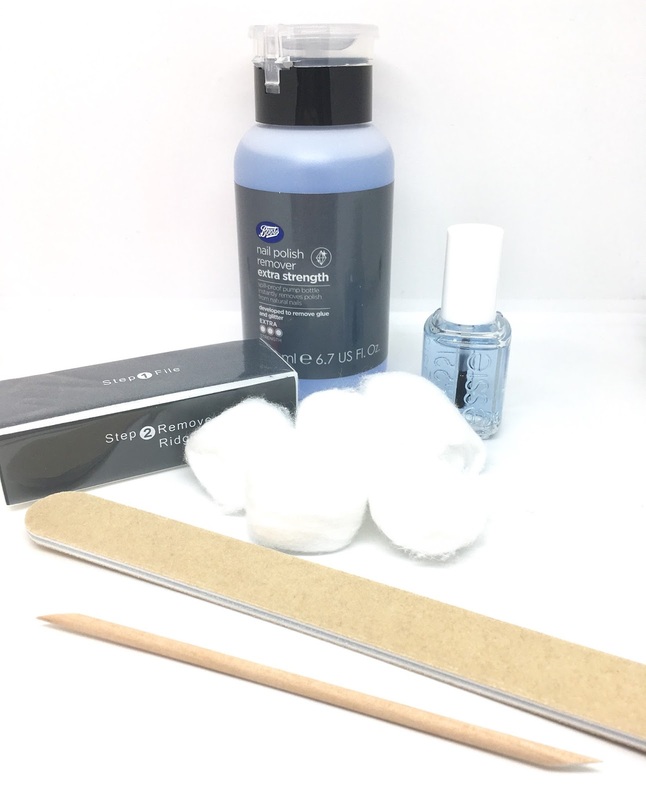 Gently use the cuticle stick to push off the gel, you shouldn't need to press hard as you will damage your nail if you do. If there are any stubborn bits just simply wrap your nail up again for a little bit longer. Remember each nail might be different and need a bit more time than others. Use the buffing block to gently buff any small bits of excess polish that is left. I have been using Essie All in One which can be used as a strengthener, a primer and a top coat. It gives a really nice shine. All gel polish removed within 20 minutes at home. I could have been a little bit more gentle with my nails but this was my first attempt and I would definitely know what I was doing next time around. If you do have time then definitely head to your local salon to get them removed but it's always handy to know how to do them yourself at home too. I would recommend only going to a salon that removes gel polish in a similar way to above rather than filing it off with a drill. I used to get them removed in a salon that used a drill and it made my nails so extremely weak and brittle - I've also heard horror stories of the drill going through people's nails - eeeeeeekkkkk!! 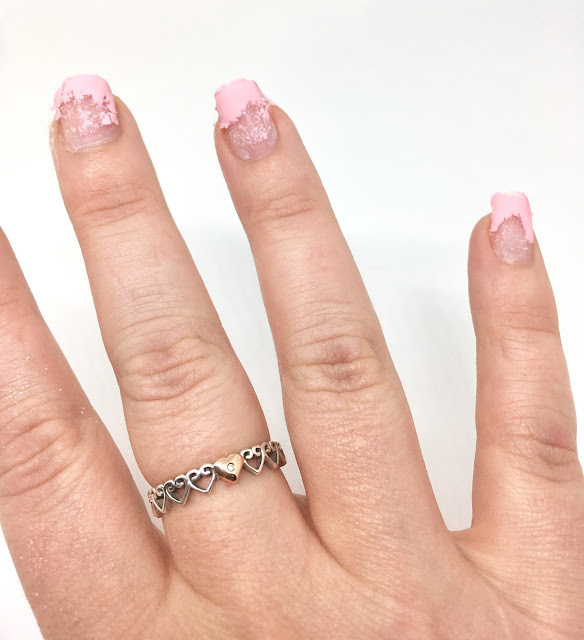 Have you got any tips for removing gel polish? Leave them in the comments if so!